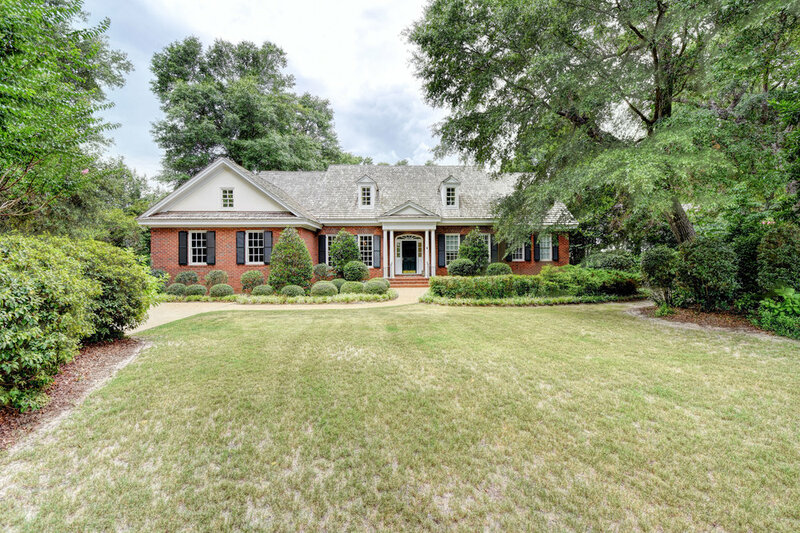 A beautiful 4 BR 3.5 BA brick southern-style home situated on a corner lot with mature landscaping in the gated community of Landfall. Fine finishes include heavy trim, custom mill-work and hardwood floors in all the first floor living areas. 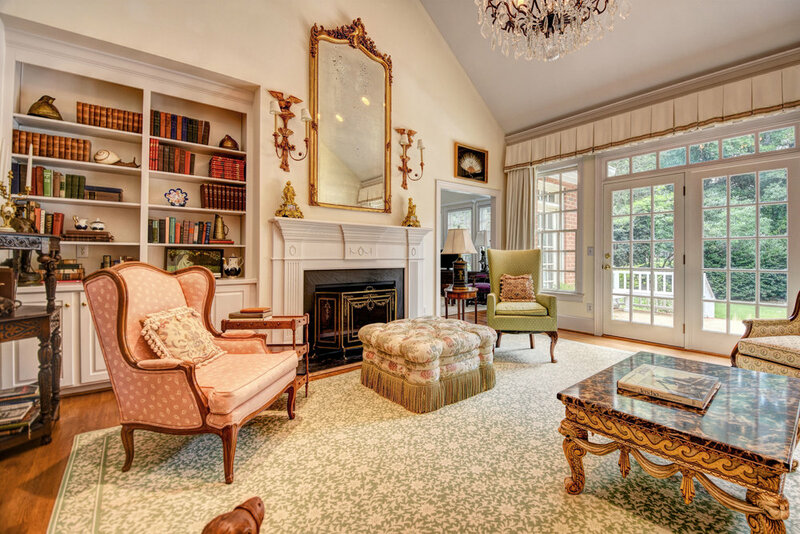 The living room exudes elegance with a cathedral ceiling, a wood-burning fireplace featuring a fluted mantle flanked by built-in bookshelves and a wall of windows and a patio door that leads to the terrace. 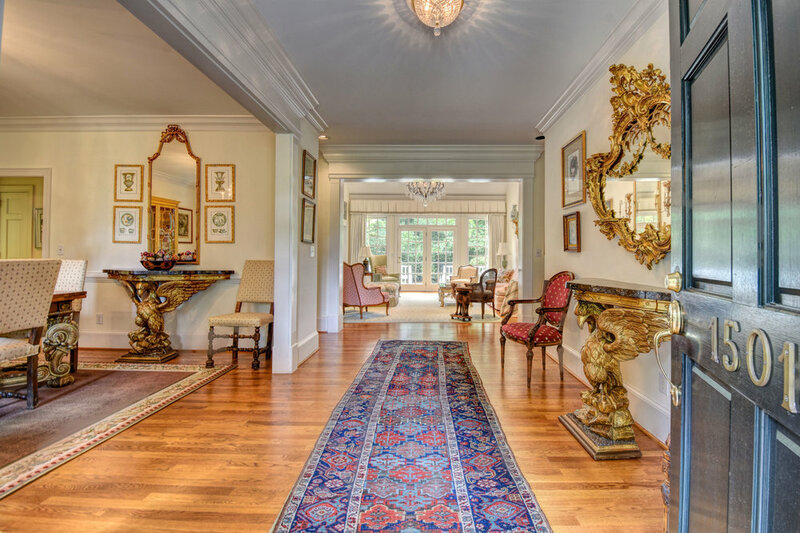 The home is ideal for entertaining with a formal dining room and an all-white granite kitchen that is open to a large breakfast room and family room. A first floor master suite boasts double entry doors, a large walk-in closet and a bathroom that includes a whirlpool tub, tiled shower, double vanities and a WC. Two additional bedrooms share a bathroom on the first floor. Upstairs is a 4th BR with a full bath and a separate bonus room, ideal as a playroom, den or office. The home is sited on a half-acre lot in the first phase of Landfall with beautiful trees and shrubbery offering maximum privacy. Other features include an inviting foyer, 3 large walk-in attics for abundant storage, a laundry room, powder, room, pantry, a 2 car attached garage with a storage room and ample guest parking. Landfall is a premier golf course community located close to first class stores and restaurants and just a 5 minute drive to the white sandy shores of Wrightsville Beach.